In-House or Outsourced: Which Ecommerce Solution is Best for Your Business? As there are pros and cons associated with an in-house ecommerce solution; the same goes for an outsourced ecommerce solution. While some organizations want to know that there’s someone in-house that can quickly and efficiently handle ecommerce emergencies, others prefer to leave the responsibilities to an external resource. Companies with proven track records of successfully navigating the complex issues that go along with selling your product online would be the best option, particularly should you choose to go global with that product. Each solution has its benefits. Which is right? Well, that depends on your particular setup, as well as your company culture and your anticipated growth in the future. Let’s examine the pros and cons of each option. The in-house ecommerce solution means that your team creates a system for selling that’s used exclusively within your organization. Your team is responsible for maintaining it, but it’s custom-made to suit your exact system’s needs. Here are the pros and cons of the in-house system. Read also: What to Expect When You Switch to a Full-Service Ecommerce Solution. Understanding Your Needs — Who knows you better than you? An in-house solution will offer exactly what you need, no more, no less. It’s streamlined to suit your organization, without any extra “fat”, added. Staff on Site — You’ve got the person who can solve any ecommerce platform issues on-site, so you know that your problems will be handled immediately. You won’t be in a queue behind six other companies, hoping that your number comes up soon while your customers hang on the line. Keep Expenses Under Control — An outsourced agency can mean big bucks, especially if you’re just getting your footing. It’s possible that you can’t afford to use an outsourced agency, particularly if you’re not going to see an immediate return on your investment for their services. Time-Consuming — If you don’t have the cash to hire a person dedicated to your ecommerce platform, you’re going to have to drop it onto an already overloaded employee’s workload. The more time your staff spends on the ecommerce solution, the less time they’re spending on their area of expertise. Additionally, if your employees feel overworked and underappreciated, they might not be your employees for much longer. Lack of Expertise — What do you know about setting up an ecommerce platform? It can be more complicated than it appears, you and failure to comply with the regulations can result in potential legal issues. It might be more trouble than it’s worth to attempt a DIY. Security Issues — Security is a huge issue for companies doing business online, and you’re no exception. Huge corporations such as Anthem and Target have experienced cyber breaches that damaged their brands. A smaller company can’t afford to take the hit that a breach would land. If you can’t guarantee that your customers’ personal information will be completely safe, perhaps you it’s not worth it to take on your ecommerce solution in-house. Outsourcing your ecommerce solution means that you’re putting your ecommerce into the hands of a team of experienced professionals who aren’t within your organization, but are putting their expertise and knowledge to work for your company. Let’s break down the pros and cons of an outsourced ecommerce solution. Knowledge Base — An outsourced ecommerce solution team spends their days on one thing and one thing only: ecommerce solutions. Compare that to your in-house team, who all too often are squeezing your ecommerce solution issues in between product development and other pressing issues. A reputable outsourced ecommerce solution team will have the know-how to take your organization to the next level. They could even help you go global. Time-Saving — When you entrust your ecommerce solution to an outside team, that’s one less thing you and your team have to worry about. The platform’s already developed, so you can have it customized with your products and prices and appropriate links within your website. It’ll go live, faster. When you compare that to the time you’d have to commit to creating your own solution, you’ll save hours, if not days. Security Solutions — A good outsourced ecommerce platform will have security certificates in place, as well as a dedicated fraud protection team. Can your in-house platform offer that kind of peace-of-mind to your customers? Probably not. Would your customers feel better knowing that their information was completely safe and, if something should go wrong, there’s a plan in place to make it right? Probably so. Variety of Payment Methods — It’s not cheap to offer a wide range of payment methods. 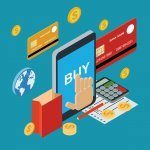 In fact, many small in-house ecommerce solutions can’t afford to offer options beyond the bare minimum. 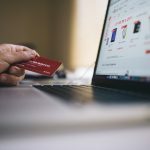 If you want to offer your customers the opportunity to pay in the way that they wish, it’s smart to work with an outsourced ecommerce solution with a wide range of payment methods available. A good ecommerce solution will also accept currencies from other nations, ensuring that you’re ready to do business anywhere, anytime. Finding a Trustworthy Agency — How can you be sure that the outsourced ecommerce solution will do what they promise they’ll do? It’s important that you carefully assess any agency prior to signing on with them. Check out their testimonials, and look at their customer service ratings, too. You want an organization that will fully support their product, 24/7. Expense — It’s very possible to overspend using an outsourced ecommerce solution. However, if you share your concerns with your agency, and judiciously choose where and how you want their assistance, it’s possible to get the help you need at a price you can afford. You’re Not Their Only Customer — Unfortunately, if the ecommerce solution is really great, it’s unlikely that you’re the only company they’re servicing. If you have a small issue or a question, it might take time for them to get to it. Again, it’s important to check out the agency’s customer service record. Determine how committed they are to aiding you quickly and efficiently before you sign on with them. Outsource your ecommerce platform to FastSpring today!